In the tradition of New York Times bestsellers What Remains by Carole Radziwill and Oh the Glory of It All by Sean Wilsey, Christina McDowell’s unflinching memoir is a brutally honest, cautionary tale about one family’s destruction in the wake of the Wall Street implosion. Important Disclosure: This interview was not conducted by myself, and is being republished here with the express permission of Wunderkind PR. 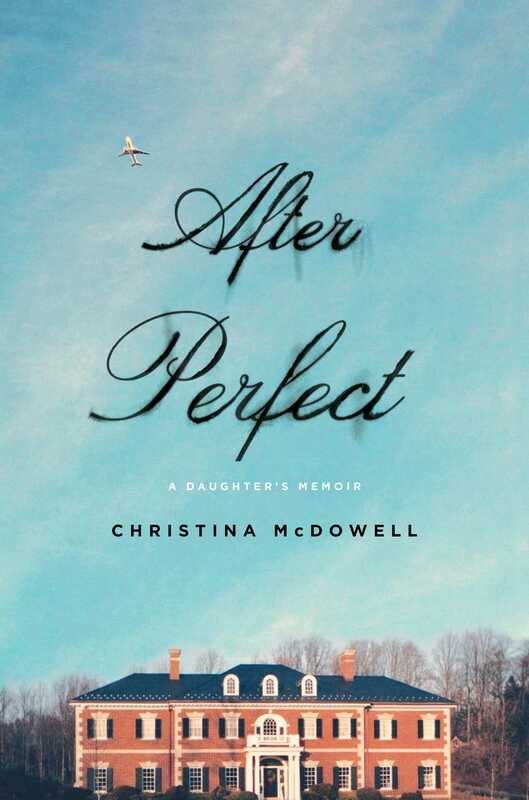 It is very informative,interesting, and provides a great overview, as to the themes brought up in Christina McDowell’s After Perfect: A Daughter’s Memoir. Do you perceive yourself as a victim following your father’s actions and incarceration? I think there is a difference between having been a victim and acting as a victim today. I was absolutely a victim of my father’s actions. And having been at the time, still a teenager when he was incarcerated, I do consider myself a victim of our broken criminal justice system. So it was doubly hard in that respect. Even though I was legally an adult at the time he surrendered, no one was there to explain anything about prison or legal proceedings or tell me what my rights were—if any—of seeing my father, or having contact with my father. No one seems to take into consideration the children of the incarcerated. On any given day there are 2.7 million children with a parent in prison in this country. They are the silent victims of the justice system and now more than ever we need to do everything we can to help them and rid them of the stigma and shame that does not belong to them. I do not consider myself a victim today. There is nothing empowering about being a victim. I practice forgiveness on a daily basis. Being a victim means giving my power away. It took a long time for me to understand that and to find a way to forgive my father. But it set me free. Do you have any advice for people who have been victimized? How can someone go from a victim to a survivor? I can only speak from my own experience. I went through a range of feelings: denial, rage, sadness, guilt, and depression. Eventually once I passed through all of those feelings with the help of a strong support network, I started to have hope again. I wasn’t numbing the pain by being self-destructive. I participated in a victim’s workshop; a form of restorative justice, which is an approach to justice that focuses on transformation through dialogue with both victim and offender with the intention of creating a pathway to forgiveness. It is brave to be able to forgive, especially for those victims who have experienced horrific crimes. To have the courage and willingness to forgive, in my opinion, makes someone a real survivor. What is your response to people who feel less sympathetic to your misfortunes? Everyone is entitled to his or her opinion. I’m sure my story will resonate with some people and not with others. My socioeconomic background doesn’t make my pain any less real, or my experience with betrayal and loss any less valid. Of course, I hope the take away here is that it is not about money, but about family values, love, forgiveness and the most important: accountability— being responsible for our own actions and the choices that we make. We’re powerless over the cards we’re dealt. But it is up to us, what we do with them. Have you spoken to your father recently? Has he reached out to you since his response to your open letter? After everything you’ve been through — from the fancy cars, a big house and expensive clothes, to working paycheck to paycheck and being homeless, what does privilege, accountability and greed mean to you. Privilege, to me can mean many things. I am privileged in that I grew up with affluence, I have resources, access to people, places and things someone else from a less fortunate background might not have. People usually associate privilege with money but it’s much more than that. Accountability, for me means taking responsibility for my actions and the choices that I made and continue to make. I was powerless over the cards I was dealt, but it’s up to me how I choose to move forward. Greed to me is when someone accumulates and seeks wealth far beyond their needs. I read a study that once a person reaches a certain annual income—maybe around 60k or 70k— anything beyond that— their happiness in relation to money and status and power becomes irrelevant. But as for my own life, before my father was arrested, I don’t think I understood what greed was because I had no perception of it, you cannot see the thing you are inside of— I certainly understand what it means today. What is your current relationship to your family since writing the book? Somewhat distant. More so on my end. I needed to create that space in order to write it. After being homeless and in huge financial debt, what do you consider “home” now and what is your relationship to money? I consider home a place where I feel the most safe: mentally, emotionally and spiritually—with people that I love and people who love me in return. Home right now is my cozy 400 square foot apartment with my Havanese, Zelda Fitzgerald, my books, typewriters, candles— a place where I have fostered creativity and real love. My relationship with money is getting better. I’ve been told that I exhibit signs of someone who was raised during the great depression. I am in constant fear of losing what I have, though I don’t have much; I’m not sitting on a fortune that no one knows about. Yet with what I do have I am afraid, sometimes, of spending. But that only leads to living in self-depravation, which isn’t healthy either. I suppose it’s ironic that I am encouraged to go out and spend more money, loosen up a little. I’m working on that, but I think given my history, I’ll always be a little frugal. I do believe in striving to live an abundant life. There is no shame in having money as long as you are contributing to the world—doing what you can to give back. I do believe there are moral and ethical boundary lines between living an abundant life and living a greedy life though. 8 How do you feel about current rising incarceration rates in the United States? As of 2014, the incarceration rates are slowly declining, however, we are still responsible for the largest prison population in the world. I have known about our mass incarceration crisis for years having first been exposed to it visiting my father in prison. I was so traumatized and shocked by it that I began to research the system on my own just out of curiosity. The things—the statistics I discovered were horrifying. As a result of my own curiosity and getting involved in prison reform, I landed a job working on a documentary about the mass incarceration crisis. I spent a year investigating the system and only now, because of Eric Holder’s willingness to talk about it, because of the protesting, and the riots, people are just starting to wake up. But this is not new news, and those who have been touched by the criminal justice system also know that this is not new news. Can you tell us about InsideOUT Writers and the work you do with them? InsideOUT Writers is an organization that seeks to reduce the juvenile recidivism rate for currently and formerly incarcerated youth using writing as the catalyst for personal transformation. I am one of their teachers. I’ll bring in poetry, essays, lyrics and music, we sit in a circle and we talk about what we read, then based on what we find, I have them write on a topic we discussed. We have classes in all of the juvenile detention facilities in the Los Angeles area; Central, Los Podrinos, Barry J Nidorf, and we’ve also started teaching classes at four state prisons. Our hope is to expand all throughout the California prison system. Does sharing your story with and hearing from other children affected by incarceration help you heal and have a cathartic benefit? Yes, definitely. There’s an amazing new organization called POPS (Pain of the Prison System) starting at Venice High School for kids with parents or family members in prison. I have gone as a guest a few times and it is powerful to be able to come together and share stories. It’s that commonality of pain that can be very comforting. And it’s comforting to know that there is a support network out there. With shows like Orange Is The New Black growing in popularity, how do you feel about media representations of incarcerated people? And do you feel they raise awareness or are damaging to the families of those incarcerated individuals? I don’t watch Orange Is The New Black so I can’t comment there. However, I read the book and really enjoyed it, and think that Piper Kerman is doing a wonderful job at bringing awareness to the atrocities in our prisons. Usually the media sensationalizes everything. Everything feels like it is meant to scare the public. I have traveled to prisons and spoken with inmates, I’ve interviewed inmates and I think that what is missing from the media is their humanity. Inmates are not all psychopaths who don’t have a conscience. They are vulnerable human beings, mostly whom were victims themselves – victims of violence or sexual and emotional abuse before they committed their crime. So the media certainly doesn’t help the family and children of those incarcerated. It only adds to the stigma of what it means to be close to prison embedding shame on a family member or child that isn’t theirs to bear. Thanks to Wunderkind PR for allowing me to share the above interview! Be on the lookout for an in-depth review of the novel, when Part 2 of this comprehensive feature for this fantastic book is published this coming Monday.